Timberlea Steel also offers slit in an oscillated configuration. 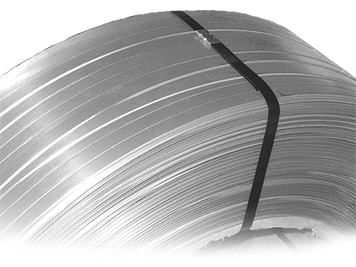 Here, narrow slit coils are welded together to form a coil that is comprised of several coils and are wound on a spool similar to that of a "fishing reel". This facilitates a significant reduction in downtime during a production process whereby an operator does not have to stop the process to change traditional single slit coils. Contact Us for information regarding material types, gauges and widths that can be applied to this method.